After looking at my earlier birthday card for London’s mom, I realized there wasn’t enough “London”! 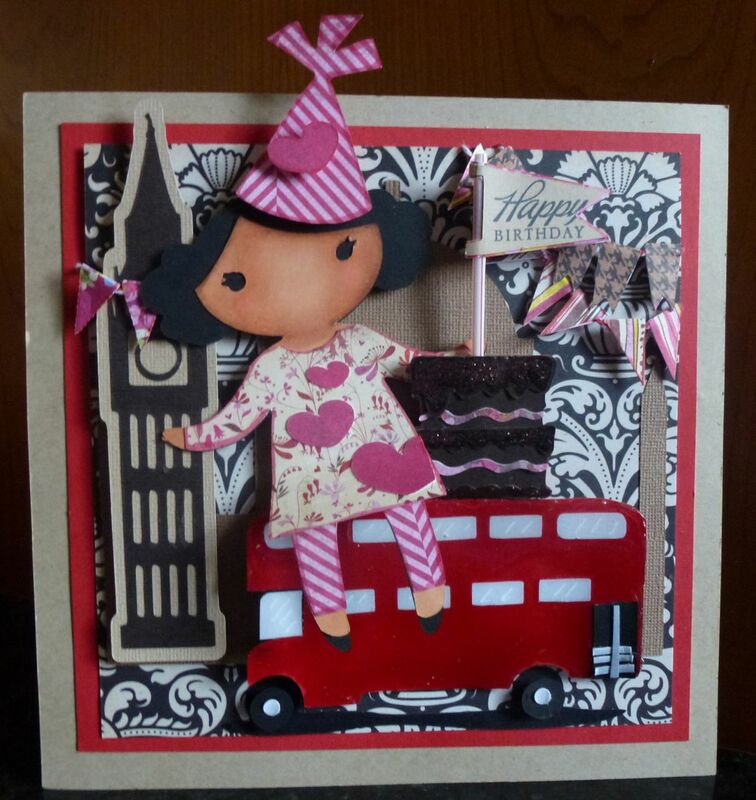 I hope I fixed it through a “London” addition with her birthday hat riding on top of the double decker bus next to the birthday cake. “London” is from the Once Upon a Princess cartridge and is cut at 5.4″ tall and is wearing the “outfit” cut. I resized her hat (chick layer) to make it a little jauntier. 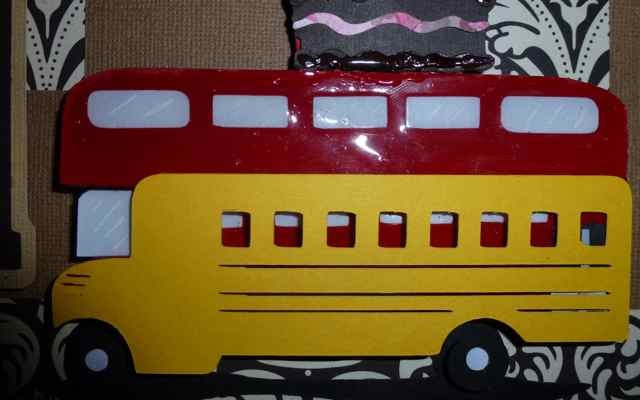 The double decker bus is still a key element but is no longer the “star.” I am glad to have the Cricut Craft Room in my box of tools though – it would not have been as “London-y” using a school bus. Here is a picture that compares the “straight out the cartridge” Nate’s ABCs cut to welded bus. I often think less is more, but in this case more is more… super darling! Loved it before, now I love it even more :D.
I thought it was perfect before but it is even better. (What is more perfect than perfect?) So cute! I love how you colored her face. Her pink elements are so much fun with the pink of the banners! I do love the addition of this little cutie. I didn’t look like it needed anything before, but now I can’t imagine this card without her. The shading on her face is phenomenal. There is a copics skin class at a local scrapbook store I’ve been thinking about. Hate to find another thing to spend my husband’s money on though. 😉 Fabulous update!